A blend of aviation history and L.A. hospitality, Airtel Plaza Hotel has long served as a warm and welcoming hub of historic Van Nuys Airport. And while history surrounds and inspires us, Airtel Plaza is all about delivering modern-day services and high-tech amenities to our guests. From fine dining to free WiFi and easy, efficient shuttle service to L.A.'s key transportation hubs, we strive to make your stay in the Los Angeles area effortless. With more than 22,000 square feet of ultra-flexible indoor and outdoor function space, Airtel Plaza Hotel is one of the most sought-after event spaces in the San Fernando Valley. 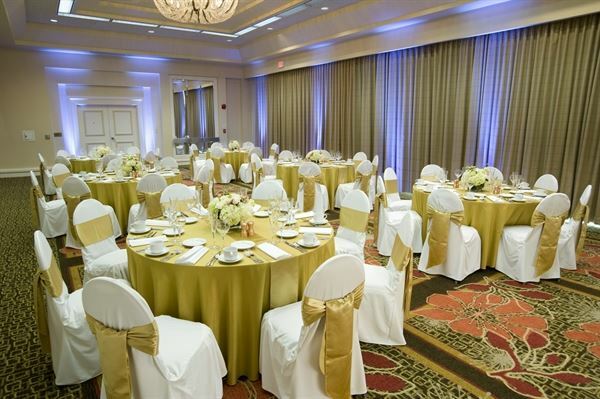 Located just minutes from Van Nuys Airport, the hotel features two ballrooms and 18 meeting rooms ideal for corporate events, small board meetings, business lunches and banquets for up to 450 guests. Special Features: Complimentary In Room High Speed Internet Access, Telephones with Data Port.